A solid granite bathtub that was made for a client in New York. Granite is one of the strongest natural stones. It is widely used for contraction where durability is key. This tub is a great mixture of form and function. 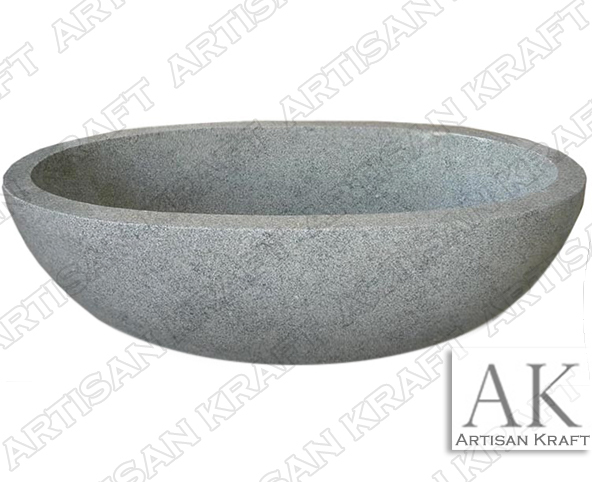 A simple oval design with a natural gray color. Like all granites is an igneous rock this is made up of many different elements and minerals like quartz and biotite amongst other minerals. These are what give it its strength. This is just one of the many stones and bathtub designs that we offer.